Surprising news from Japan tells us that Sony's newly energised PlayStation Portable has taken the monthly handheld sales crown from Nintendo's DS Lite for the first time this year. Aside from a brief blip last autumn, the PSP has always had to lurk in the deep shadows cast by the DS, which makes the March figures something of a shock. 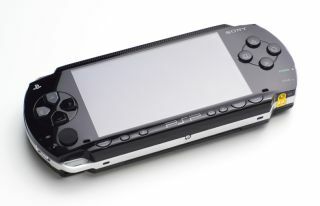 The month's figures show 415,415 PSP sales for Sony, but only 255,124 for Nintendo's DS. The PSP sales were driven in large part by heavy TV advertising in Japan for the latest game in the Monster Hunter series. Still, it wasn't all bad for Nintendo - the Wii maintained its customary grip on the console top spot. March saw it shift 265,542 units, more than three times the 81,579 PS3 consoles sold in the same period.